If you live anywhere from Maine to Texas, you may have been introduced to the poke root as a highly poisonous berry that should never be touched. In fact, before using the leaves, herbalists have to boil them three times, discarding the water in-between to create a dish that is referred to as “poke salad” or “polk salad.” This dish gained some popularity when Elvis Presley covered the song "Polk Salad Annie," a song about the dish and the poor, rural, Southern girl who prepared it. This plant actually goes by many names, most commonly pokeweed or nightshade (not to be confused with belladonna, which is commonly called deadly nightshade and has similar looking berries). As a perennial, it can grow up to ten feet tall during the summer and then die back to its root each winter. Juice from the berries was once used to make ink and dye, and it is still used by the food industry to make red food coloring. Besides being the subject of Southern rock songs, poke root has many other benefits and has been used by Native Americans for a myriad of conditions including as a heart stimulant, for rheumatism, arthritis, dysentery, and cancer. The plant contains a protein called “pokeweed antiviral protein,” or PAP for short that may have anti-tumor effects. It is currently being studied for its anti-cancer properties, and some studies have shown that certain formulations of PAP may be useful against some types of cancer cells that depend on hormones to grow such as breast, ovarian, and prostate cancer. Also, according to one animal study, PAP demonstrated anti-cancer effects in rodents. Another study found that PAP, when combined with an immunotherapy drug called TP-3, holds promise as a potential treatment for advanced osteosarcomas and some soft tissue sarcomas. And some studies have found that poke may actually inhibit the expression of some cancer genes. Much like yellow dock root, poke root is also a powerful blood purifier and lymph cleanser, inciting and increasing the action of lymph glands throughout the entire body. In fact, you’ll find it as an ingredient in Jon Barron’s Blood Support formula. Unless you know what you're doing as an herbalist, it is probably not a good idea to experiment with raw poke root on your own. Instead, use only prepared formulations from trusted sources and from which the toxins have already been removed -- leaving only the good stuff. And then, use only as directed. 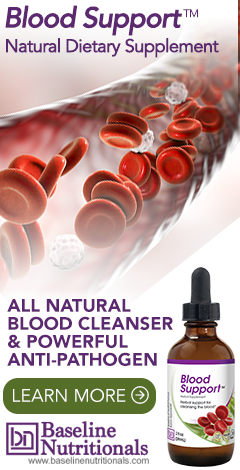 For more blood cleansing herbs, click here. My grandfather made this with salt pork all the time for us when we were growing up. We loved it. Knew of the leaves of poke salad fame and of the berries uses in dyes and cosmetics, but never heard of the anti-inflammatory uses or cancer fighting uses. Good info. Your article equates pokeweed and nightshade. My wife the botanist, confirmed by Encyclopedia Britannica, says these are different families. Botannical names are different. Conflating the two in practice could be deadly. Please know what you are writing about or using. Since members of poke and nightshade families can be poisonous, it's important to know full botannical name and parts of plant you're using or writing about. Actually, our article was correct. Pokeweed is indeed commonly called American nightshade. Search Google on “american nightshade pokeweed”. However, we have amended the text to clarify the difference between American nightshade and deadly nightshade. Thank you for writing in and bringing the possible confusion to our attention. In the Arkansas mountains it is called "polk sallet" for food we boil and drain 3 times the leaves. Fry a little Bacon keeping the fat add green onions squeeze all liquid from leaves after boil process. Then add to bacon and fat and green onions sautee a bit then crack 2 eggs stir til done...yummy! Serve with corn bread.. Can boil stock as well and then bred and fry like okra. Also dig the root...peel boil and then grate eat 2 TBS a day for infections.....especially of the lymph glands it took my sons lymph gland infection that was as big as a tennis Ball down to normal in 3 days. Its awful tasting so add lots of salt and pepper. Nightshade is very much different. If you need a picture, I’ll send one. This article is incorrect and needs to be either rewritten or taken down. The berries of poke can be touched and a matter of fact it is the seed, not the actual berry that is poisonous. The seeds are very tiny, so even if ingested, they typically just pass through and cause no harm. Please get your facts straight. The botanical information as one other responder pointed out is also incorrect. The article then goes on to explain that the poison is rendered non-toxic by repeated boiling—which is true. https://www.drugs.com/npp/pokeweed.html. As for the botanical information, it is not incorrect. As stated: “This plant actually goes by many names, most commonly pokeweed or nightshade (not to be confused with belladonna, which is commonly called deadly nightshade and has similar looking berries).” In fact, the link above shows that poke root is sometimes referred to as American nightshade, as do the following sites among dozens of others. Can attest to the safety of taking pokeberries, since I have been taking the berries 50+ years and have told many other people about what great medicine they are and hopefully they are telling others about God's medicine that is free for the picking come fall. Was having a bad time with total body joint pain following a bout of pyelonephritis and a woman told me about her aunt taking poke berries for years for arthritis. Parents raised me to think pokeberries were poison, but she convinced me that her aunt was then in her 80's and had been taking pokeberries for as long as she could remember. Fortunately this was only a month or so before pokeberries got ripe. Have been gathering them everysince and take the entire berry. According to data base on pokeweed, one of the chemicals it contains is alpha-spinasterol, which it says is 3 times stronger than phenylbutazone. Having had it prescribed for TMJ bursitis, 3 days of it did stop the pain, but it also kicked up stomach pain, so had to stop it. I take the pokeberries indefinitely without stomach acting up. Went online to learn how to make a herbal extract or tincture, so now when I get a bumper crop it gets extracted - using the whole berry so seriously dioubt the seed us poison, Look up the data base and you will find this wondrous plant contains many useful chemicals, especially in the berries and roots. A relative asked me for a home remedy for scabies. Told her that applying water that the poke root had been boiled in cured it, but had never checked it out. Inquired several years later if she tried it and did it work. Her reply was it sure did work, but when she put it on the scabies, thought it was going to set her on fire. About 10 years after I started taking poke berries, a physiology instructor shared the information that from a little research project they had going on at VU, they knew that poke berries threw the body into gear to fight, but they didn't know why or how it did. Thanks to her sharing their research project info, we now know that it boosts or jump starts our immune system. BTW Jon, My family parboiled the poke sallet just once, strained and discarded the water, rinsed the poke and put it in a cast iron skillet with a little crumbled bacon, bacon grease and heated it up, poured beaten eggs over it and sauteed it until eggs were done. Yummy~ Cooking it this way the taste reminds one very much of spinach. I live in southern California and have a random plant start growing in yard .iv lived here for 3 years.. I have been sick for last 5 years so this plant seems like maybe nature's way to help me out. It is dying out now but still has life.how can I use this nature helper to most of it's potential. I tasted one yesterday and I didn't feel like I poisoned myself. I then I ate 5 berries today and nothing happened to me. So now I'm questioning what is true. From what i was taught and told, the rule for swallowing poke berries is "No More Than Nine and You'll Be Just Fine! Go To Ten And Your Life May End!" (Southern/Folk/Gullah type sayings I ran into before deciding to try them plus make my own Tinctures and Teas). Personally, Ive never made it past 5 and even the 3 I just took an hour ago give me a definite Head Rush and sense of euphoria! I gave my grown son 4 a few minutes before my 3 and he had no results! Tolerances apply plus existing chemical/immune issues do to. I've been popping fresh and dried for 2 years now and at the most, a healthier digestive system but not so much as diarrhea or vomiting! Sometimes the Fear is what keeps us latched into the Pharma world so they demonize or misinform intentionally! Be Well, All! Hello. I was introduced to pokeberry as a juice about 25 yrs ago from an American Indian friend ... his remedy is to pluck the ripe pokeberry from the bush ,boil them two parts water to one part berry mashing the berry( with a potato masher) in the water then the straining it to remove any seeds or stems or skin .. also a cheese cloth ...remaining only with the reddish purple juice this is highly concentrated so you want to cut it with either apple juice or cranberry juice 50% ... I do it with cranberry juice and a half an ounce of vodka to help it get into the system better ... this is my third year doing this process and I must say I have not had a cold or flu and being a little bit overweight have no more knee or joint pain I'm sure there are other benefits that I am not recognizing but I am happy about the results especially from something that comes free from nature and from God's creation ! Ate one ripe berry, then 2 the next day, then 3 the next, then 4, 5, 6 and so on up to 20 berries at one time. No upset stomach. No other side effects. Also, I eat the leaves from the smallest size up to about 4 inches long RAW and in a salad with spinach, dandelion greens (which I also pluck out of my yard), and carrots, onions, etc. I even pop several leaves at a time into my mouth when I am outside working in the yard. I have one joint on my little finger, and one on my thumb that has started showing the signs of arthritis over the last several years. Since I started "popping the berries" and eating the young leaves, I think that I see improvement. The little finger joint is now opening out straight, whereas it was bent before. Sometimes the medical community does not do research on substances that are easily obtained by the public for free. It is an old wives tale that the leaves must be small and boiled 3x. I boil it once and use all the leaves and stems, that are not eaten up by critters and even freeze some for winter. I am even wondering now, with an article written by another supposed herbalist regarding the root as being the useful part when it has been long told that is the part to avoid - who to believe. Most herbalists still call it a toxic plant and i'm certain they're all only following suit and not looking into it better. I am currently looking for uses as a dye. Much of this article needs further study before it is consumed by novice poke users. I'm in agreement with you. I boil it once also. I find that when I consume it in the spring, I don't get sick in the winter. I too only boil it once. About 15 mins. Drain it fry onions and eggs in with it. I've never tried the roots and berries. I was was taught to get the young tender plants. I have fried the roots up like okra. It is very tasty. However I am a bit confused now. I too was taught to pour the water off three times. Then I squeeze the water out with a cloth. We fry it with ham hocks and an egg. Of course you scrabble the egg in the skillet with the ham hocks and leaves. I crush the ripe berries and mix Teto's Vodka with it. Then I strain the solids out and drink a small glass every day. Not sure how much it helps but sure enjoy taking the medicine it makes.